Maintaining personal hygiene is the most basic type of care. A noticeable change in appearance or hygiene could signal that the patient is not getting the daily attention required and deserved. This signals that the patient is not getting proper fluid and nutrition, which can lead to long-term health problems. If your loved one has injuries that he or she cannot explain or that the nursing home staff cannot explain to your satisfaction, it could signal that the patient is not being monitored – or something worse. Unexplained changes in behavior can be a sign that there is something unsatisfactory about the living environment or signal deeper signs of distress. If your loved one suddenly changes the way they feel about nursing home staff, it could be a sign that an incident has occurred. 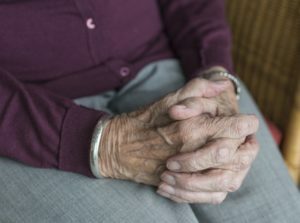 If there are dangers in the room that haven’t been addressed, it can be a sign that nursing home staff is not taking proper care of your loved one. If someone in your life has been the victim of nursing home abuse, take action to protect them. Anything but a comfortable, safe and healthy living situation is unacceptable. If you’ve seen signs of abuse, contact Arkansas’s attorneys for nursing home neglect to discuss the situation.